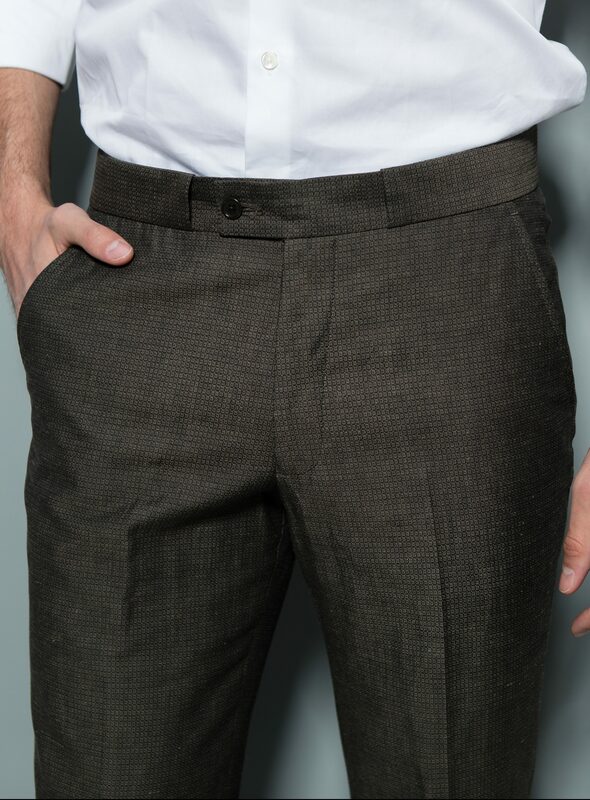 With a textured look, this unique wool-cotton blend fabric makes for a luxurious pair of trousers. An invisible belt loop only adds to the sleekness of the pants. 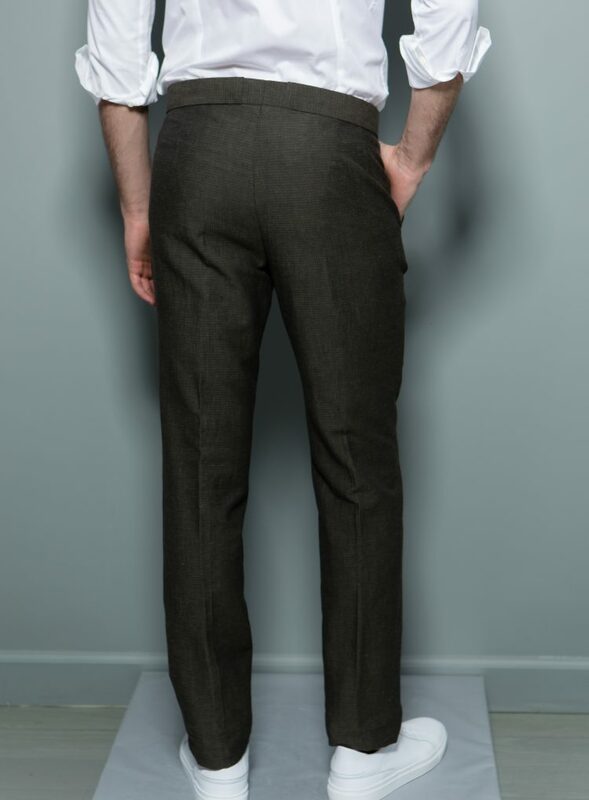 These trousers have a raw finish which allows you to easily hem them to the length of your preference. A detail not to be over is the Signature Stephen F Royal Blue zipper. 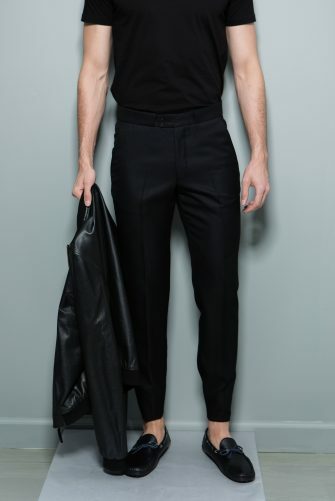 Round out the look with wingtips, loafers, or even sneakers. 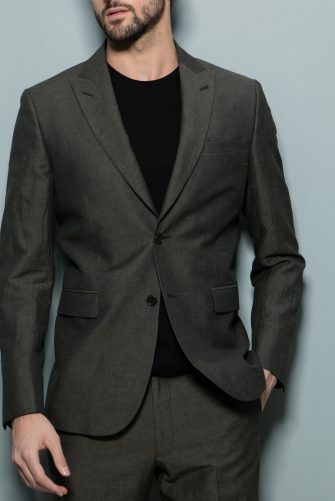 To complete the suit, we have a blazer in the same fabric.